Planning to buy a Hovercraft? How you intend to use your hovercraft will determine the type you should consider. Hovercraft are very weight sensitive; so consider the choice the designer has to make between performance, durability / product life and safety. Race hovercraft have hulls made from extremely thin glass fibre that will flex when you push your thumb against the material. As hovercraft can drift, if you meet an obstacle in your path, the impact could cause considerable damage and be expensive to repair. Race hovercraft do not perform so well over water, and lack many safety features we consider to be important. Race hovercraft tend to have low freeboard, exposed engines and unprotected hot exhaust systems, they lack fan guarding at the rear of the duct, have difficulty when starting on water. 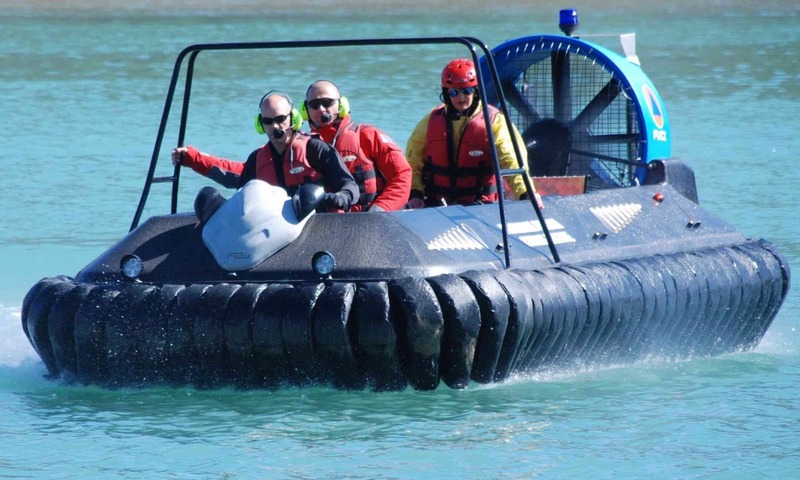 The Hov Pod Hovercraft models are either constructed from High Density Polyethylene (HDPE) or Carbon Fibre / Kevlar Composite, so they are far more durable for leisure, commercial, rescue, survey and patrol applications. We fit front and rear fan guards. We protect the engine and exhaust systems. Hov Pod hovercraft have high freeboard design, so are unlikely to sink.